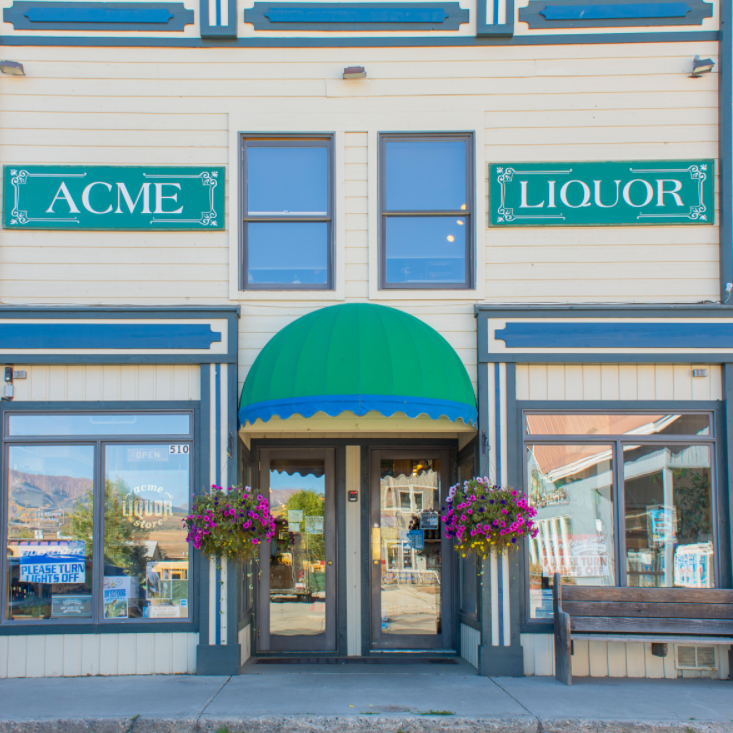 Acme Liquor Store proudly offers Crested Butte's largest selection of wine, beer, and spirits. Serving the Gunnison Valley since 2012 Acme Liquor Store hosts complimentary tastings, monthly sales, and a customer appreciation program - Acme Points. Open year round, ask about our lock box wines, sommelier services, and delivery options. Acme is conveniently located at the entrance to Crested Butte in the Majestic Plaza.